Tru-Tech fibreglass, Home of the Tropicana Swimming Pools. This is where it all started over 30 years ago! Tru-tech fibreglass offer two standard shaped moulded swimming pools, or the option of a custom built pool to suit your requirements. 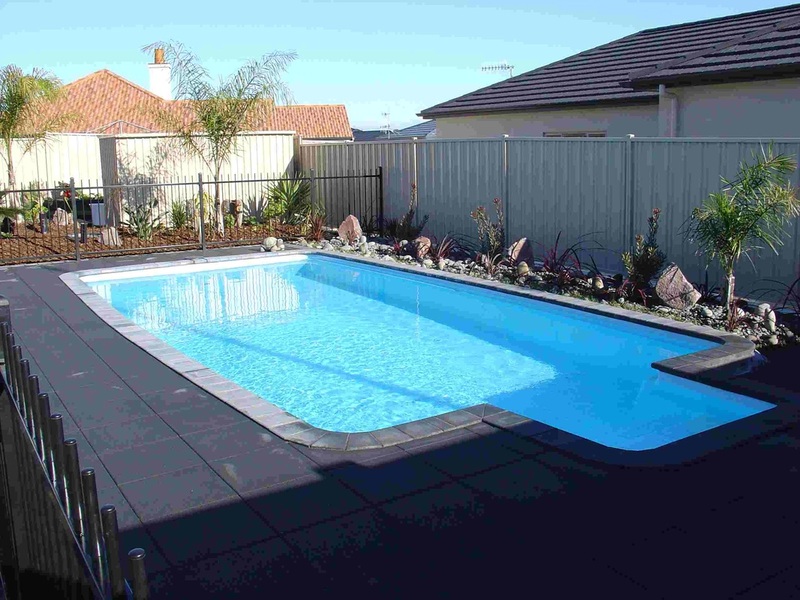 The Tropicana moulded swimming pools are made in two different sizes. The larger 9.1m x 3.6m commonly know as the (30' x 12') or the smaller 7.3m x 3.6m (24' x 12'). Both pools are 1.2m deep (flat bottom) and include steps and an integrated hand rail.We also do custom built style pools for those who are requiring that more customized option. These can be built using block work or timber framing and panels.We also do pool resurfacing and repairs for old liner pools or concrete pools. ​Please call for up to date pricing.